For innovators of every variety, nature is worth looking to for inspiration. All living organisms have evolved over millennia to best survive their environments. In doing so, they’ve perfected elements and processes that can be applied to myriad human concerns — from leading us to engineering and medical solutions, like needles that pierce skin as painlessly as mosquito bites, to simply helping us make our creations more efficient and beautiful, like Kohler’s elegant rain-simulating shower panels. Here are some of the ways nature has highkey influenced human design. All manner of natural forms — like shells, trees, and even termite mounds — have inspired architects in designing their buildings. When China hosted the 2008 Summer Olympics in Beijing, the government held international competitions in search of the perfect venue designs. The winning proposals for the two centerpiece buildings, the National Stadium and the National Aquatics Center, were both inspired by nature. The stadium, meant to symbolize the “nest” of the games, was constructed with an outer steel structure woven to resemble a bird’s nest. The Aquatics Center (colloquially known as the Water Cube), on the other hand, was inspired by bubbles, which were intended to embody the element of water. The walls of the facility were literally built with large bubbles made of a durable plastic called ETFE — a material that not only allows daylight into the venue, but also traps hot air, using it to help heat the facility’s pools. Observing how animals behave has led to many important scientific advancements. For instance, microengineers at Japan’s Kansai University developed a tiny needle for drawing blood after taking note of the ability for mosquitoes to pierce human skin without being detected. 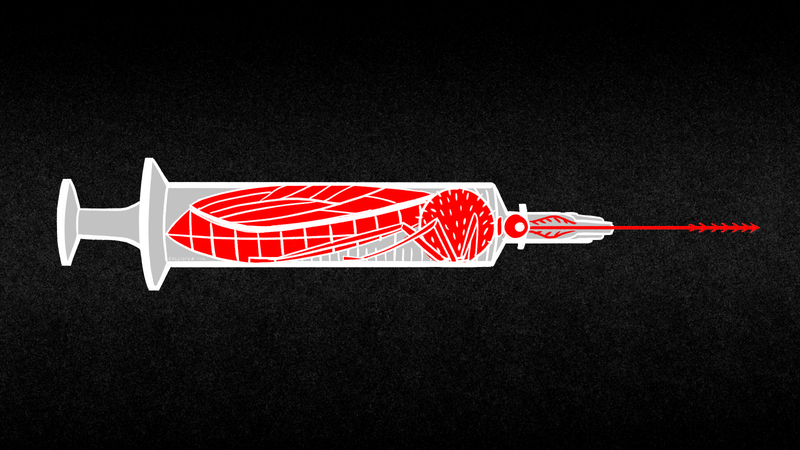 The needle is serrated like a mosquito’s proboscis, allowing for more painless injections. Spiders’ webs, meanwhile, have led to multiple material innovations. The strength and partial stickiness of the webs inspired a team of researchers to work on inventing a better medical tape: one that effectively adheres to surfaces but won’t damage sensitive skin. The reflective quality of the silk webs inspired engineers at Arnold Glas to create Ornilux, a reflective glass intended to minimize bird collisions with windows. The glass is coated with a net-like pattern of UV-reflecting material, alerting birds to the presence of a “web” and saving flocks of avian lives. Nature-inspired efficiency has also been applied to the fickle world of fashion, most notably through the development of fabrics. Velcro was famously invented when a Swiss engineer took a closer look at the burrs that stuck to his clothing and his dog’s fur after a hunting trip in the Alps. The material became so prolific that it made its way into everything from Army uniforms to high-fashion runway shows. Captivated by the colors of Morpho butterflies — which owe their blue hues not to the presence of pigments, but rather the play of light on their wing architecture — scientists in Japan created a fabric called Morphotex based on the structures they observed in the butterflies’ wings. The result was a strikingly iridescent fabric, produced without the energy consumption and waste of using dyes and pigments. Although the manufacturing of Morphotex ceased in 2011, the nanostructures in butterfly wings continue to drive human beings to innovate, from inspiring pigment-free paints to more efficient solar cells. Aesthetic experiences inspired by nature are powerful, too. In fact, humans are scientifically hard-wired to enjoy nature: Spending time outdoors causes people to feel calmer and happier. Not everyone is able to bask in the outdoors on a regular basis, though — so designers are bringing the experience indoors. Office spaces in particular are being outfitted with nature-inspired design, like wallpaper that evokes being in a forest and indoor green spaces. Kohler takes the experience even further by bringing nature into the home. The company’s Real Rain showering system was created by designers who studied every aspect of rainstorms, down to the varying size of raindrops, and the angles at which the drops tend to fall. While the water is designed to come down gently, drops build in speed and strength over time, and users can activate a deluge of water that simulates a brief downpour. The result is a shower that perfectly mimics natural rainfall, fully immersing users in the experience of warm summer rain. This post is a sponsored collaboration between Kohler and Studio@Gizmodo.